Be sure to E'me if you have any questions. Click the pony picture to see it larger. INTERNATIONAL orders, E'me so I can weigh the box. Larger domestic orders go UPS, ask for a quote. I don't overcharge. 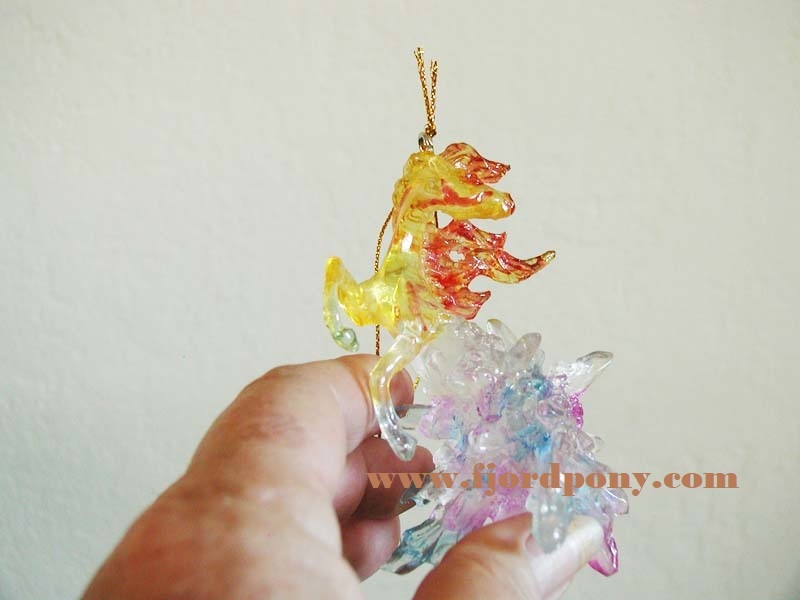 Sorry we are out of the Fire & Ice Figurine! To mark the occasion of 15th Anniversary year, here is creative excellence, The Trail of Painted Ponies has created this very special, commemorative figurine. 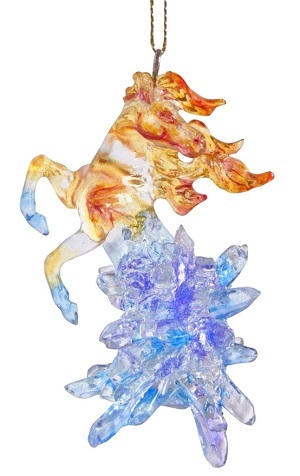 Titled "Fire and Ice," and cast in clear resin, it depicts a fiery stallion rearing and twisting like a flame from blue ice crystals in a striking representation of the creative process behind each Painted Pony, where the horse serves as inspiration for a wholly original artistic vision. Triumphant Paint Your Own Figurine ~ 15th Anniversary of The Trail of Painted Ponies. The Magic, Mystery and Beauty Continues - The Trail of Painted Ponies has single-handedly transformed the way people think about the horse-in-art with its creative use of the horse as a three-dimensional canvas. Each of our horse forms is based on an original design sculpted by a nationally acclaimed equine sculptor exclusively for The Trail of Painted Ponies. This pony does not come with a paint brush or paints. Let your inspiration flow! Get My Pony News Right Away! Click pony picture to see it larger. These ponies are made by Enesco.